Can you believe it’s almost February? Slowly, we can look forward to being halfway out of winter, pink and red chocolates and hearts are flooding our storefronts…. and the dreaded time of finances. Between the Christmas credit card bills arriving, RRSP deadlines approaching, and slowly starting to get your tax forms, it can be pretty depressing. Also, you may have made New Year’s Resolutions about your finances, whether it’s to spend less frivolously, save more, pay down debt, get on a budget, you name it. That’s why today I want to share a simple and easy way to get your finances under control. It’s the simple, tried and true envelope system. It’s really not an innovation at all, and it’s been used with some minor variations all over, whether with jars or TV shows, but it really works! I hadn’t actually ever heard of it, but while vacationing in Montreal with my husband over the holidays in 2011, we sort of came up with our version, and I can honestly attest to the fact that this simple system has obliterated financial stress for over a year now. First, let’s understand your categories for this simple budget. You have income (usually paycheques, also returns on investments, as well as bonuses, etc. ), fixed expenses (bills), and flexible expenses (things you can affect the amounts of – groceries, donations, etc.). I have included a little sample worksheet at the end of this post as a visual aid. First create a worksheet and list your reliable monthly income at the top (if you make commissions, leave that out for now, and just work with your base). Next, list out your fixed monthly expenses (rent, insurance, car payments, cell phone bill, hydro, etc.). Total that up for Total Fixed Expenses, and see what’s left. Now list out your debt payments, add them up for Total Debt Payments, and see what’s left. Now the personalized part – the envelopes. List out your discretionary expenses, with reasonable estimates for monthly amounts. If you have recurring larger expenses that are not monthly, figure out the monthly amount. For example, Nick and I go to conferences in the US about 4 times a year, which means transportation, hotel, food, tickets, and any purchases while we’re there. We figured out an estimate, which we divided by 3 (since 4 cycles of 3 months would pay for 4 conferences), and figured out how much we need to put away each month, so we have the money sitting there when conferences come up. I also use envelopes for rent, and divide the rent amount by the number of paydays, so we don’t experience a big cashflow shock at the start of the month. Classic envelope categories are: groceries, grooming (salon/haircuts), charitable donations, gifts (build up the whole year, and then there’s no Christmas cashflow drain!). If you’re young, and all your friends are getting married, make a Weddings fund for gifts, dresses, transportation, etc. or a Baby Showers fund if your friends are all starting to have kids. If you travel a lot, have a Travel fund. Have an Entertainment/Fun Money fund, so you can have fun and not worry about it. Once that’s done, total it up, and record the Total Envelopes amount, and then… see what’s left. Is there something left? Yay! You get to go shopping, or save for a rainy day, or pay down debt even faster! Is there a negative? Then be realistic, and go back and cut some expenses, either discretionary (the easiest to cut – ramen noodles anyone? ), or fixed (maybe you don’t need that super-unlimited cell phone plan? Or you can get a family plan that’s cheaper?) The point here is to trim and adjust as needed so you come out with a surplus, even if it’s modest. It may hurt at first, but it really does pay to be brutally honest with yourself. Case in point – we managed to eliminate about 25% of our entire household debt as a newlywed, fresh out of school (read: wedding and student debt) couple in a year, all while maintaining a pretty great lifestyle and going on 3 vacations. If you don’t plan to succeed, you plan to fail. Now, to put your amazing envelope system into action! Keep your envelopes in an accessible, but safe spot. Write out all your fixed expenses in a calendar or spreadsheet with amounts and dates, I use a spreadsheet with my accounting background. As you get paid over the month, make sure you’ve paid your bills up until the next payday, leave some money in your account for emergency and unexpected expenses ($500, $1,000, whatever works for you), and take out the rest to fill your envelopes. This way you are easily meeting your monthly needs and payments. A super-important point here – don’t dip into envelopes once you’ve run out. Once Entertainment runs out, don’t go dipping into next month’s rent, or you’ll end up back in trouble when it’s due. It’s really a simple system, and while yes, I’ve heard that dealing with cash doesn’t help your credit history, it’s the most effective way to get a handle on your finances. As you start to see the system working for you, make adjustments. At the end of the year, you may even have some surplus cash sitting around, which is perfect for a post-holidays pick-me-up, and financially guilt-free! Also, this means that commissions, bonuses, tax refunds – all come in as extra, so you can now decide what to do instead of having to spend it all on bills – maybe you need a bigger item for the home, or a new outfit, or maybe just throw it into savings for a bigger purchase down the road. We can see that she really only has a $5 surplus, so she needs to be disciplined. This means things like shopping can only really come out of her commissions. Better yet, she should start saving with part of the commissions (see how there was no savings? very common), but then also enjoy her money. Have questions? Feel free to ask away. Or share your smart financial tips with me! A quick caveat: consult a professional if you’re in serious financial trouble, like the close to bankruptcy sort. This post is merely helpful advice, and the system works best for those who are generally okay with their money, and are just tired of seeing it disappear on little things or stressing over expenses. Here’s to a 2013 being the year of no money stress! So, a little while ago, I decided to try and hop onboard the natural beauty products trend. I’m not really even remotely close to the brown paper packaged, raw-looking cosmetics found in health food stores, Ayurvedic products, and the like. I usually delight in fun packaging, bright pops of colourful plastic, and “exclusive revolutionary formulas” that sound like they were created in a NASA lab somewhere. But I had heard enough about the dangers of sulfates and parabens and other things that I don’t know what they are, so I figured it couldn’t hurt to try and go more natural. 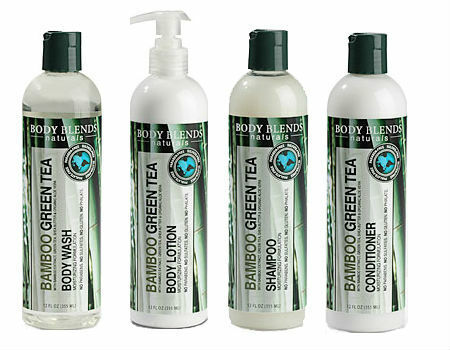 I decided to try a line of body & hair products called Body Blends Naturals. The design and marketing was cute enough, and it boasted its products being at least 93% all-natural. They are paraben-free, phalate-free, sulfate-free, and even gluten-free (sidenote: why is there gluten in beauty products? I don’t know). They were great! The line is all bamboo and green tea extract based, so it smells nice, but the scent is still neutral enough that it won’t interfere with fragrances you may wear. This was important to me, since I wear some sort of EDT or EDP pretty much every day. The formulas also boast shea butter (moisturizer extraordinaire), and organic aloe vera (which soothes skin naturally). The body wash is a gel that sudses up really well, and is even perfect for shaving my legs. Not too drenching in moisture, but the lotion is all you need for that. The body lotion is honestly more like a rich cream, almost body butter-ish in its thickness. It covers really well and makes my skin feel all silky! It’s actually thick and rich enough to stand up to Canadian winter, which I was pleasantly surprised by. And then there were the hair products. I tend to be picky about these, because I’ve been growing my hair out since forever, and it sometimes has a mind of its own. The shampoo was nice, lathers up well, and rinses very clean. To be honest, I don’t usually look for too much in shampoo – I want it to clean well, since I use styling product, and to smell pretty, but not overpowering. Check. But the conditioner? I loooove this conditioner! My hair is naturally curly (read: a sponge for moisture, and sops it up like a camel in the Sahara, which can leave me looking like Medusa/poodle/lion’s mane), so it needs a good conditioner. This one is almost as thick as the lotion, it feels more like a mask! It detangles my hair in no time, and left it the softest it has been in years – yes, years. It also gave my hair a nice sheen without weighing it down, so it has become one of those products I tend to gush about. Here’s a picture of the bottles for the whole set. 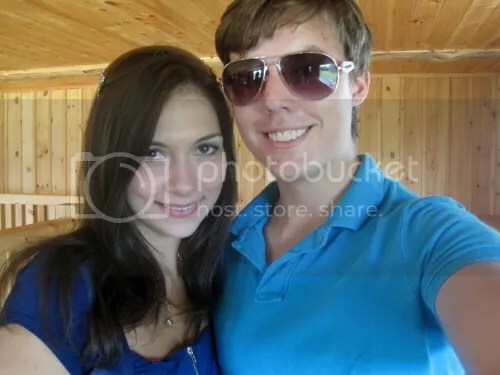 I’ve included a pic below, it’s from a wine tour Nick and I did, and it does show how healthy my hair looks. First and foremost, Happy New Year to everyone! I hope you all had a joyous and wonderful holiday, filled with many smiles and memories. Next, go see Les Miserables, seriously. On New Year’s Eve during the day, we went to the movies to see “Les Mis”. I am, among other things, a drama/musical theatre geek, and I love it. This film was one that I had anticipated since I heard that Hugh Jackman has signed on, long before there were even any previews out. 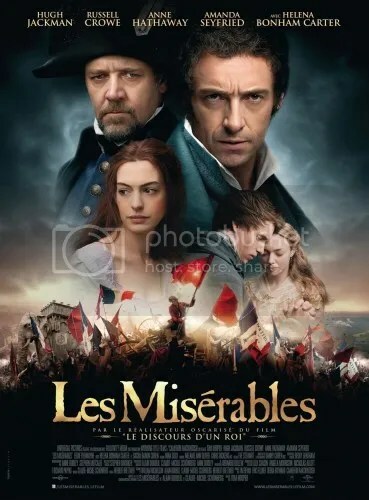 I’ve always wanted to see “Les Mis”, and had never really gotten a chance to see the stage musical. I’ve listened to recordings of it, and wished to see it one day. Needless to say, I was super excited a movie version was coming out. And I was not disappointed at all. The film actors singing live really did make a difference, and created such raw emotion, you could feel it in the theatre. Anne Hathaway’s beautiful softened rendition of “I Dreamed a Dream” left pretty much the whole theatre in tears. Hugh Jackman was of course a perfect Jean Valjean. The ending (which I won’t spoil), left us all really crying, of both happiness and sadness all mixed up into an amazing heart-rending song. The entire cast was lovely and convincing, and it was a magical journey. A pleasant surprise in my opinion was Aaron Tveit as Enjolras. He played the charismatic leader of the revolutionaries very well, and I could clearly see why so many would follow him into the uprising. His singing voice was also great, and as a result a medley of Red & Black, Do You Hear the People Sing, and One Day More has been stuck in my head ever since. I never even recognized him as the same guy who played Trip in Gossip Girl. What I love best is how this movie, and story, defies the norm. If you want to feel better about your lot in life, if you want to hear amazing music, if you want to have a good cry, if you want to travel back in time, if you want songs to resound in your ears and make you want to sing, and if you want a musical without the super-happy spontaneous choreographed dance routines, this is it. Easily one of (if not the) best movies of 2012, go see it.